To hear that thing come alive, it is just an incredible experience. When we turned on the organ for the first time and I sat down on the console and played Deep Purple. I get choked up right now talking about it. Four guys were helping me. They all came out of the organ chamber with tears in their eyes. 1. 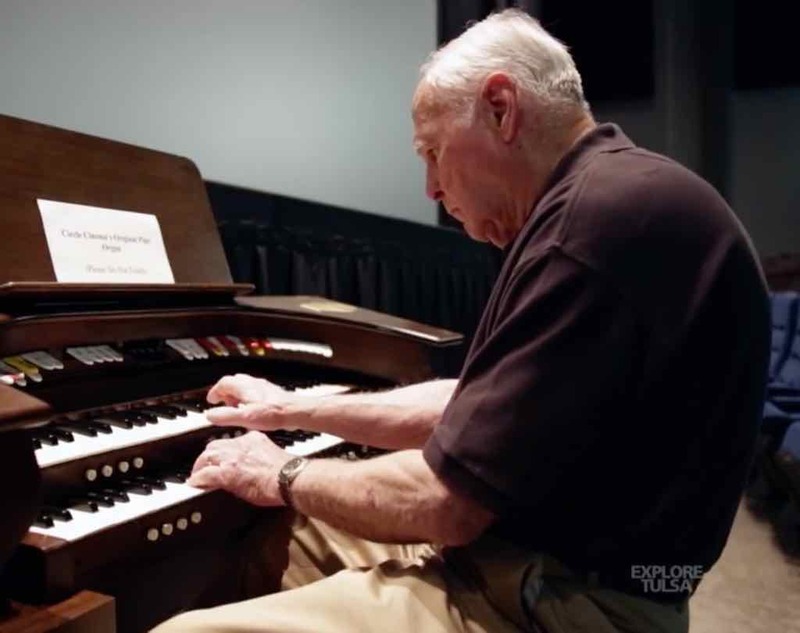 What led you to the mission of being an organ builder? 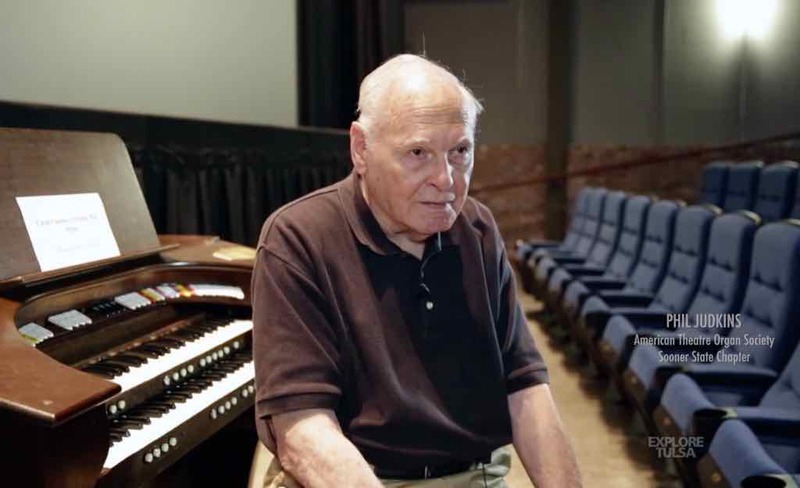 Phil: It all started when I was about four years old, about 1937, when my brother had become somewhat enamored with a theater organ that was being played during the movies in Tulsa, Oklahoma. He took me there to hear this magnificent pipe organ. I was totally obsessed with it and have been all my life. I never thought I would wind up actually being in that profession because I had no way to learn being an organ builder on a professional level. I had to teach myself over the years until I finally became associated with Wick’s Pipe Organ Company in St. Louis. I went to many seminars and have had been tutored by many professionals. I learned it that way. I learned mainly on the job. I have attended seminars and have been to the factories and looked over shoulders and things like that. I’ve attended meetings, but mainly you learn by the seat of your pants. Laura: I know that before he first started doing organ building a lot, he had a book and he read that book. He studied that book from cover to cover many times. The book discussed how the pipe organ works, how it all goes together, and the technique of organ building. He studied that and read it over and over. 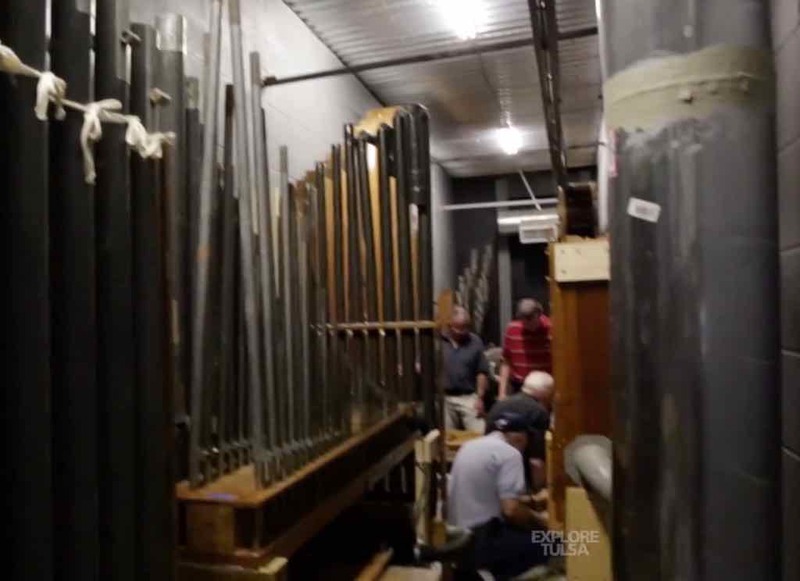 Phil: We do everything that has to do with pipe organs: tuning, building, repairing – everything. I’m the one that you can when the note continues to play when it isn’t supposed to and you’ve got to stop it. We put in new organs and install and rebuild old organs. We do everything. Laura: I’m his note holder when we go and tune. I also go fetch things for him when he needs something. I am at the console and hold down the key or change the stops. When he is ready, he says, “Next”, and I go to the next note. That’s the way it is tuned and it takes a long time. You do it one note at a time. Sometimes it is hard to hear between us. Laura: Sometimes the pipes are chromatically placed and sometimes they are diatonic. So I have to know which note to play. Phil: There are basically two types of pipe organs. There is the classic or church and then there are the theater organs. There are two separate types of instruments for different purposes. They do not compete with one another. They are just two different things. I entered the field through the theater organ, but mechanically both types are very similar. It’s the pipes themselves that are different. 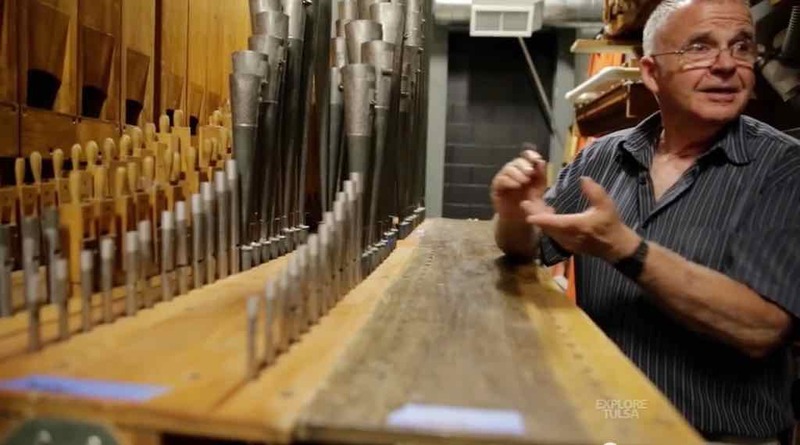 The pipes on a classic or church organ are voiced in a different way. The theater organ pipes mainly sound like orchestral instruments. So I like both of them. Laura: He takes care of the organ at our church. This is the largest organ in Oklahoma. Phil: It has one hundred and thirty ranks. Laura: He goes to the church about four days and week and stays about a half day. Phil: We have built about forty ranks ourselves – buying parts from manufacturers and installing them at the church. Laura: What drives him is that he wants to play the organ. But to play you have to make it work. We have a pipe organ in our home as well. Phil: It is extremely satisfying because that is what I always wanted to do. I went to college and majored in business administration. I went to work for the Boeing Airplane Company. Then I found a career in the insurance claims work. But in my spare time I always did organ building. I retired early from the insurance company. I went into this full time. 3. What was your best day being an organ builder? 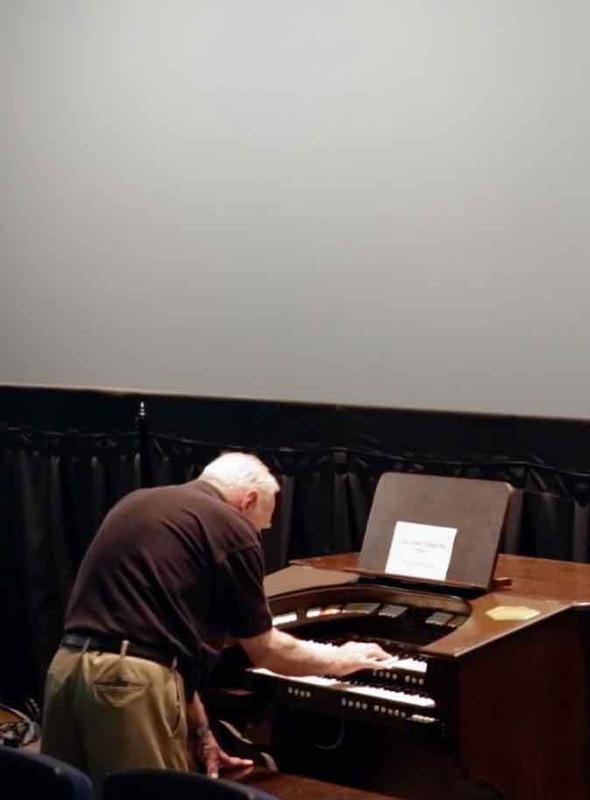 Phil: This past September we completed the installation of the original organ in the Circle Cinema in Tulsa, Oklahoma. 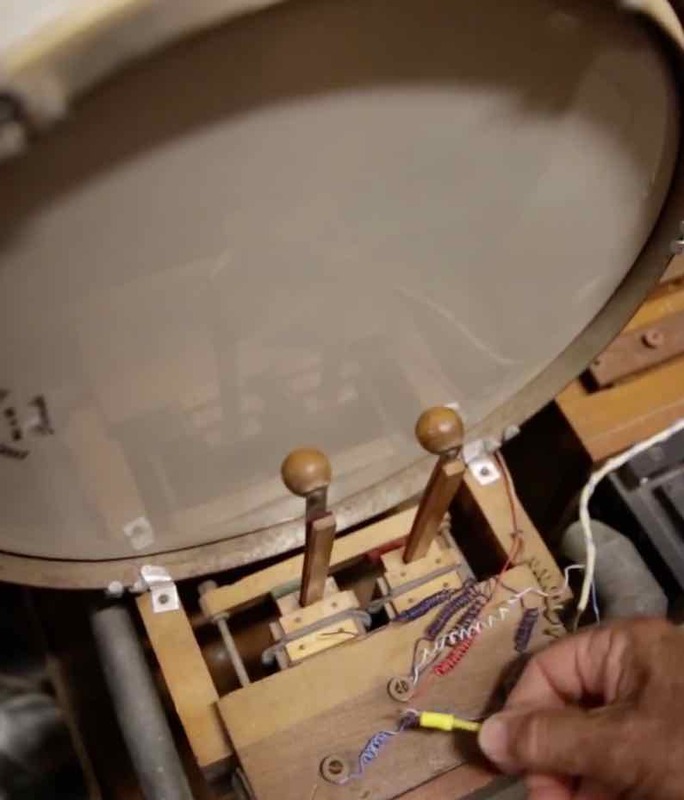 (The video at the beginning of this interview features this organ and Phil’s explanation of putting the organ back into place in the Circle Cinema.) That was their original pipe organ. It had been in storage for probably close to twenty years. We rebuilt it and installed it back in the theater where it came out of back in 1931. To hear it play again, that was an emotional experience. Laura: It was a neighborhood theater. They built pipe organs in theaters back in the 1930’s. Phil went into this theater back when he was a little boy. Phil: But I never thought anything about there being a pipe organ back there. It wasn’t there. It had been taken out. We put it back into the theater. Laura: He said that he had prayed that someone would step forward and would want to help because it is a big organ and he knew it would take him quite a while to do it by himself. He would be the main person. Very shortly after that, he had two fellows that called and said they wanted to help. They were the perfect two guys that wanted to help. They were completely volunteers. They were both engineers. One was an electrical engineer and one was a mechanical. Those three guys worked so well together. Phil could tell them to begin with, “This is what we need to do.” He was the one who knew how everything went together. But because they were engineers, they understood everything he would say. They got so that they would ask, “What are we going to work on today?” He could say, “Well, we’re going to do this.” They could just pitch right in. They were just the perfect two guys. They are so nice. 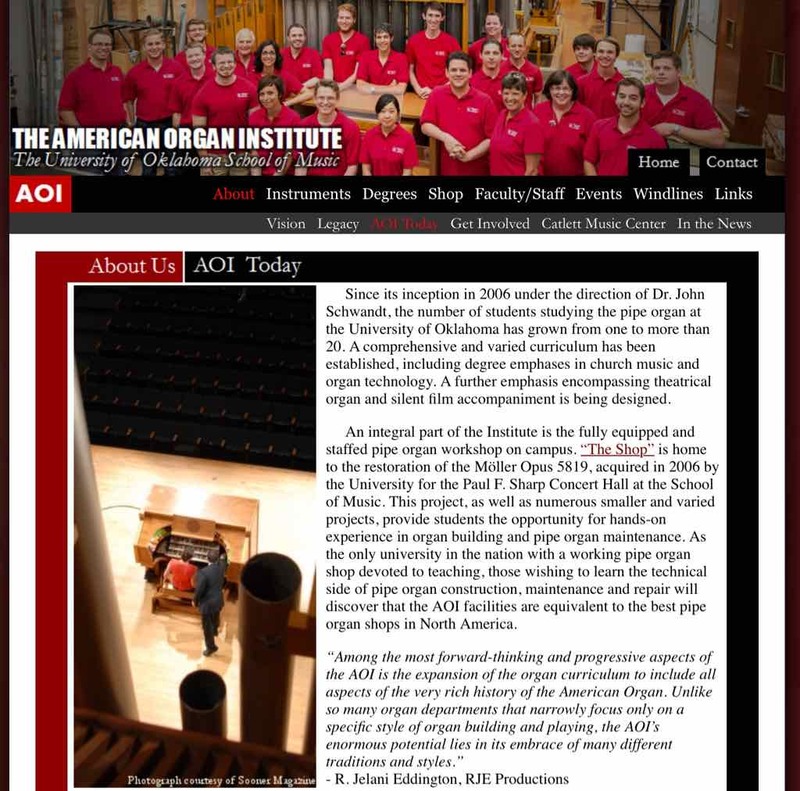 We belong to the ATOS, The American Theater Organ Society. We are the only two charter members left in the Oklahoma City group. We are now almost eighty-three years old. Phil: After we got the Circle Cinema organ together, it had been in storage for many years. But when it was taken out of the theater, it had gone to the Scottish Rite Shrine. They had used it for close to fifty years. They moved and a friend of mine who was a doctor removed it. I was working elsewhere and told him what to do. I didn’t have much of a chance to help him move it. They carefully put all the pipes in boxes and when we put it back together, it was not completely in tune, but at least it was playable. When we turned in on for the first time, I sat down on the console and played Deep Purple. 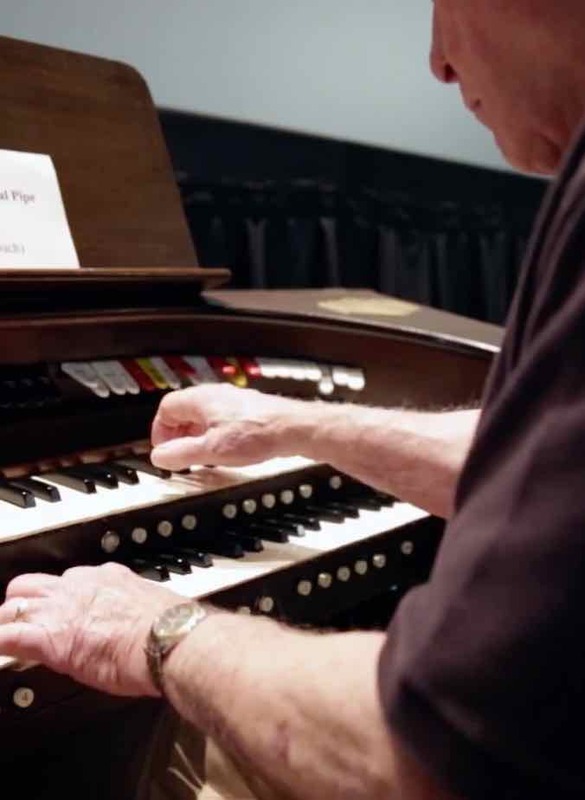 (To see a rendition of Deep Purple on a Robert Morgan 4/23 theater pipe organ click here. ) It was the most emotional thing. I get choked up right now talking about it. Four guys were helping me. They all came out of the organ chamber with tears in their eyes. To hear that thing come alive, it is just an incredible experience. One of the stories is that the Circle Cinema was a six hundred and fifty seat neighborhood theater. Today that won’t fly. They have to have smaller theaters and more of them. So what they wanted to do was to build a projection room across the center and use part of the original theater for one screen and another floor for another screen. The contractor undercut the foundation of the theater. The theater didn’t fall down, but the whole side of the theater dropped down about twelve inches. So they had to totally start off with a new building. We were going to put the organ back in the old organ chamber that was typically on the side. But this area was taken over by air conditioning equipment. We started off with a clean sheet. They said, “Phil, get with the architects and design it like you want it.” So there is a theater in Richmond Virginia called the Byrd Theater. (To learn more about the Byrd Theater, click here.) They have a big Wurlitzer organ in there. It is designed so that the sound comes out over the proscenium. I was able to design this one exactly the same way. The Byrd Theater has a reputation for having one of the best sounding pipe organs in the theater organ world. We got the same sound. 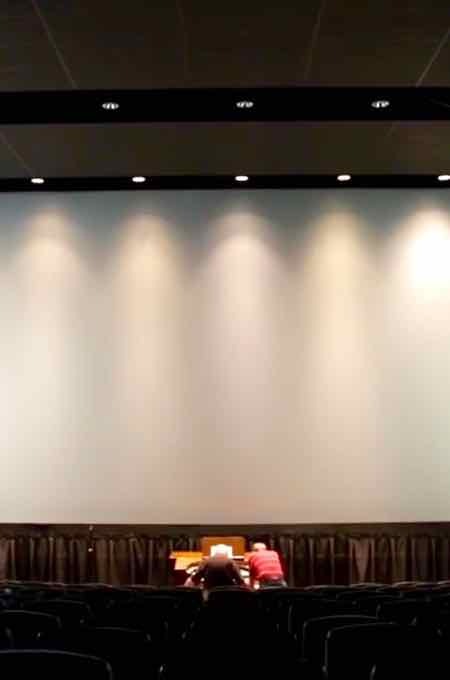 There is not a bad seat in the whole theater. It only seats two hundred and fifty people now and they have another theater on the other side. But the main theater is designed so all the sound comes overhead and just fills that theater up. 4. 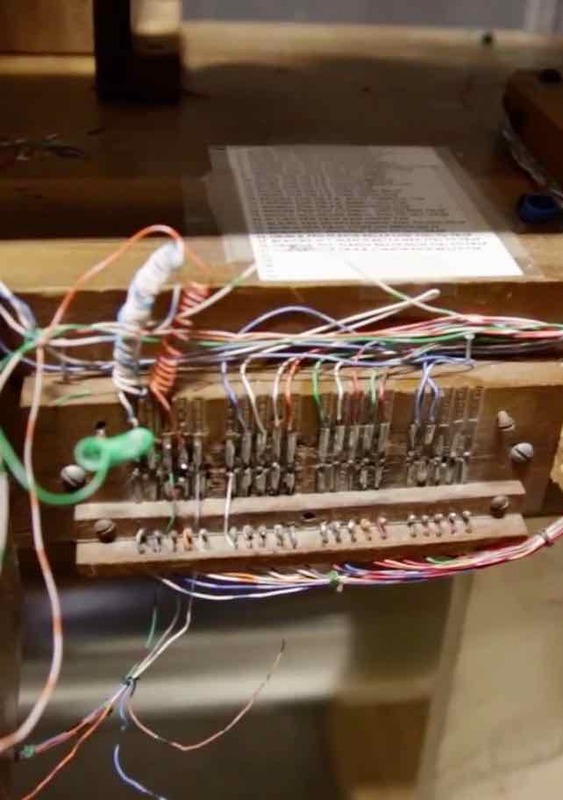 What was your worst day being an organ builder? Phil: Probably the worst days are when we attempt to tune too much in one day and we get totally worn out. We take care of some pretty large instruments. We work from 8:00 in the morning until 8:00 or 9:00 at night. That is pretty trying. Mainly, it is very rewarding. Laura: Sometimes it is very close quarters in the chamber. It is difficult to get around to properly get to the tuning area. Phil: Every set of pipes is tuned a little bit differently. You really need to be a smaller size to be an organ builder. You have to get into some really tight places, but we manage to do it. I’m about five foot eleven now but I was six feet. Laura: I can think of a time when he was working on the Circle Cinema organ. The blower wouldn’t work properly. They ended up having to have it rebuilt. Phil: We had to put new bearings put in it. When we first turned the organ on, it was rattling like you wouldn’t believe. The blower was just worn out. We didn’t know that. You can still get parts for about any pipe organ. So we had the thing rebuilt and it is working fine now. Laura: It was mostly volunteer work that we did and very little pay. But it was a project that we took on. We restored it in our basement for a while and worked on parts of it. They had a problem with the Circle Cinema building for a while and so it ended up five years in the basement before we could restore it and get it into the theater. We didn’t have all the pipes in the basement. Phil: We had the chest and the console in the house. The chest is what the pipes sit on and what the mechanism is that makes the pipes play. Phil: Shear enthusiasm. The reward is when you turn it on for the first time. It’s a very emotional experience. Laura: It’s looking forward to when you know there is an end and you know that you will get there eventually. Phil: What we like to say is that you feel a pipe organ. You hear an electronic organ. That describes it better than anything I know. 6. 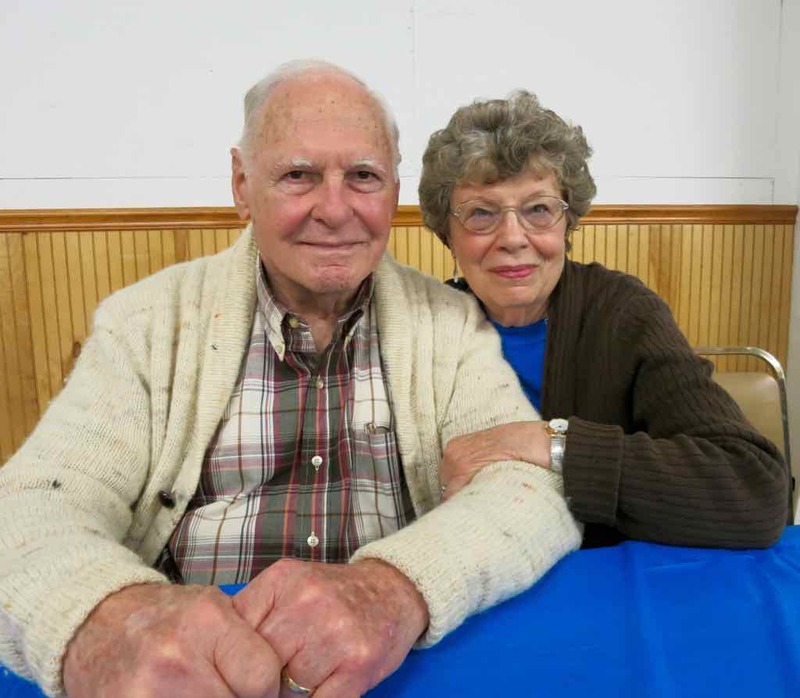 What advice do you have for someone who would like to have a mission to love? Phil: Try to find all the reading material that you can get on the subject or still better try to become acquainted with those persons in that profession. Beg them to help you to spend some time with you. Try to get everything you can that will help you learn about it. You want to learn everything. Today (and this wasn’t true years ago when I went to the university) the University of Oklahoma now has a degree in pipe organ technology. (To learn more about this degreed pipe organ program, click here.) It is the only place in the world that you can get a degree in pipe organ technology. They have a number of students and they go through everything. The technical side is very complex. 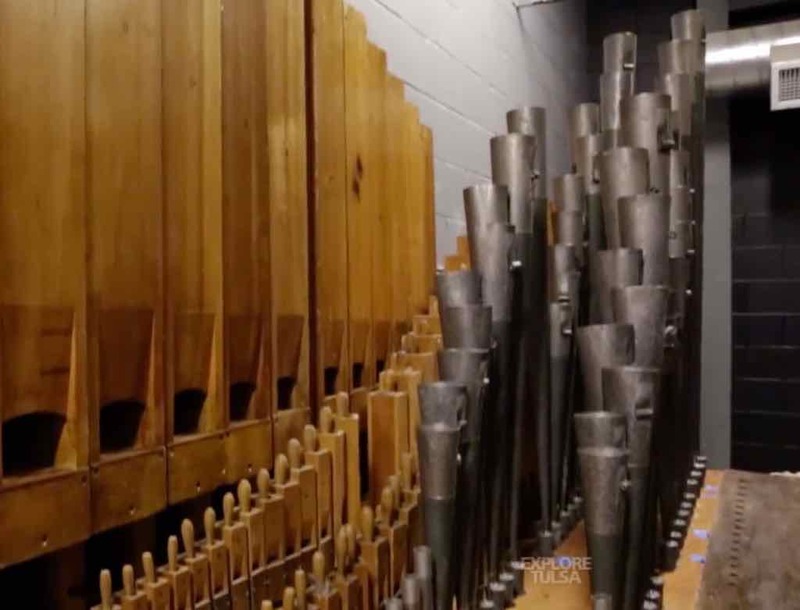 Basically, a pipe organ (other than the pipes themselves that are individual musical instruments) is nothing more than a wind distribution machine. If you look at it from that angle, all of a sudden you realize, “Ah. Maybe I could learn about this thing.” But the University of Oklahoma is doing a lot for pipe organ building.